"On a hot day, ice cubes will quickly melt. This process, where the cold icecube aquires the same temperature as the surrounding air and turns into water is called thermalization. 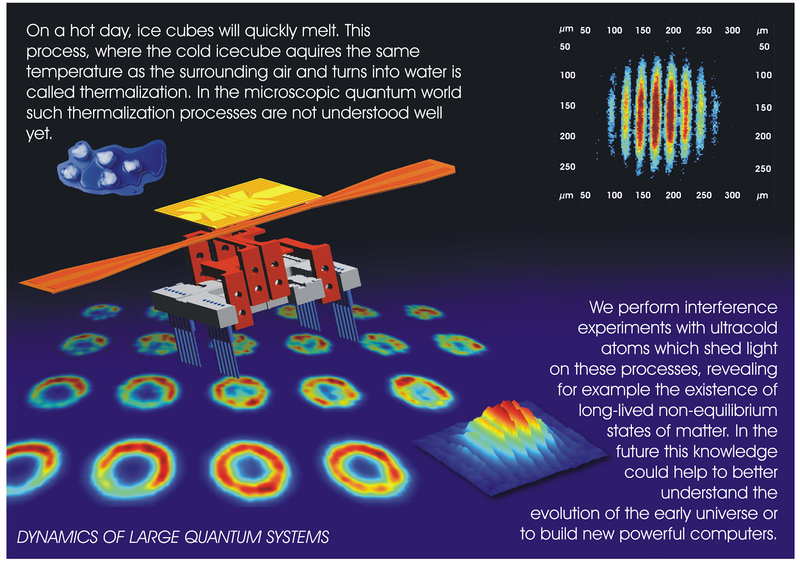 In the microscopic quantum world such thermalization processes are not understood well yet. We perform interference experiments with ultracold atoms which shed light on these processes, revealing for example the existence of long-lived non-equilibrium states of matter. In the future this knowledge could help to better understand the evolution of the early universe or to build new powerful computers." Source articles here & here.